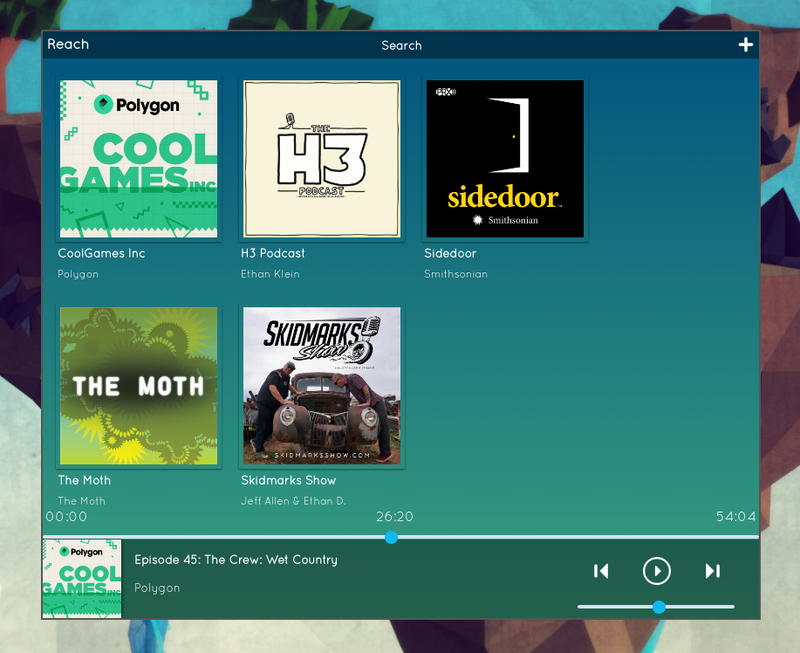 Reach Podcast Player is a RSS-based podcast player, meaning that in order to listen to your favorite podcasts, all you have to do is copy and paste the RSS feed from the podcast. This application is for all podcast listeners. Itunes, Spotify, and whereever you get your podcasts, have a ton of available podcast but every once in a while you will hear about a new podcast and search for it on your favorite podcast provider and they won&apos;t have it! 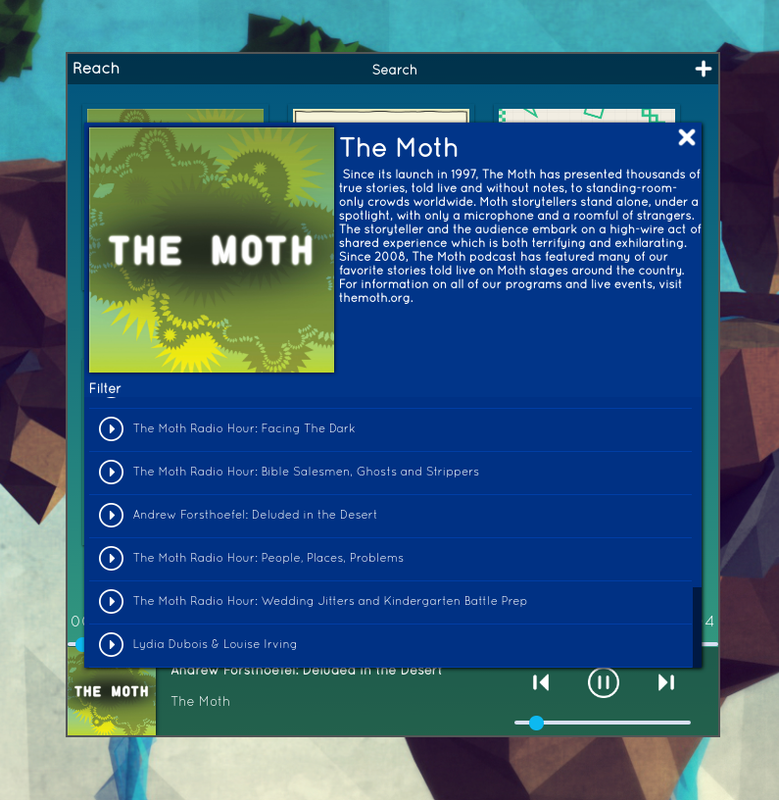 with Reach, all you need is the RSS feed and you&apos;re good to go. 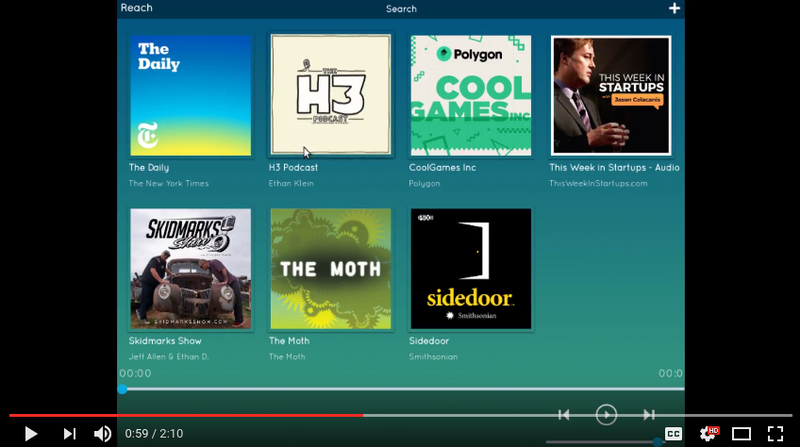 No need to listen to podcasts accross different programs. This was made with electron and angularjs. This is my first time using both of these items so some parts of the program are not perfectly optomized, but I plan on continuing to work on both the program itself, and my angular and electron skills in order to fuilly optimize the program. I&apos;m a college student looking for cash and I didn&apos;t want to riddle this program with ads, so if you&apos;d like to support me and this project donating is an option. Feel free to donate as little as $1, because honestly anything counts.